In the grand tradition of articles that apply real-world science to pieces of pop culture that have no need for it, the good folks behind the PBS Space Time YouTube Channel have posted a video exploring the science behind Mario, of Super Mario fame. Specifically, they’re interested in finding out what the gravity is like on whatever turtle-infested, toadstool-ridden world Mario has been hopping around for the last couple of decades, theorizing that it might provide insight into how the little guy is able to jump so ungodly high into the air. Friendly PBS science man Gabe begins by calculating the height and length of Mario’s standard jump in Super Mario World. He plugs those measurements into a formula designed to calculate the surface gravity of any given planet, and concludes that Mario’s world has a surface gravity roughly equal to eight times that of Earth. Because gravity that strong would prevent an ordinary human body from pumping blood to the brain, this leads to the conclusion that Mario is a space alien, if the fire-breathing flowers and talking fungi weren’t clues enough. 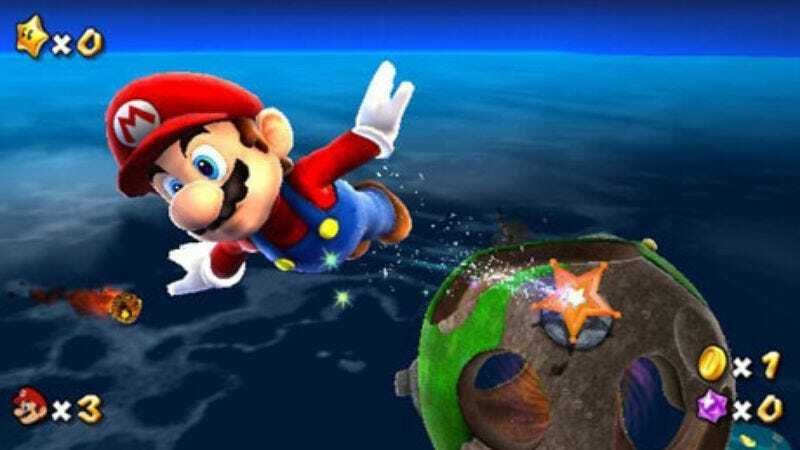 Gabe goes on to break the unfortunate news that it’s probably impossible for any planet in our universe to have both that level of gravity and a solid surface, meaning that a real-life Mario is an impossibility. Well, enjoying Mario games was fun while it lasted.